What bracha is recited on peanut butter (a spoonful of peanut butter eaten plain)? 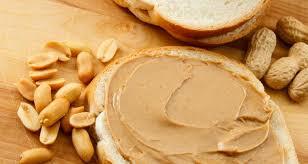 There are two opinions regarding the bracha on peanut butter. Here, we will discuss the opinion that holds that the bracha on peanut butter is Shehakol. Shulchan Aruch (OC 208:8) writes that one recites Ha’adama on cooked beans. The Rama adds that if the beans completely disintegrate, one recites Shehakol. Therefore, it should follow that the bracha on peanut butter would be Shehakol, since the peanuts completely lose their identity. However, the Magen Avrohom 208:13 explains that the bracha on disintegrated beans is downgraded to Shehakol because this is not the normal way this food is eaten—cooked beans are normally eaten when they are still identifiable as beans. If so, since most peanuts today are processed into peanut butter, should we recite Ha’adama on peanut butter? Rav Shlomo Zalman Auerbach, zt”l said that even today one should recite Shehakol on peanut butter, because whole peanuts taste better than ground peanuts, and peanuts are not ground to improve their taste. Therefore, once the peanuts lose their form, the bracha is downgraded to Shehakol (see Rabbi Bodner’s Halachos of Brachos, p. 410). Store-bought chunky peanut butter is also Shehakol, since it is made of smooth peanut butter, with peanut chunks added afterwards.